The perfect place to stay for those who Party, Party, Party, Party! 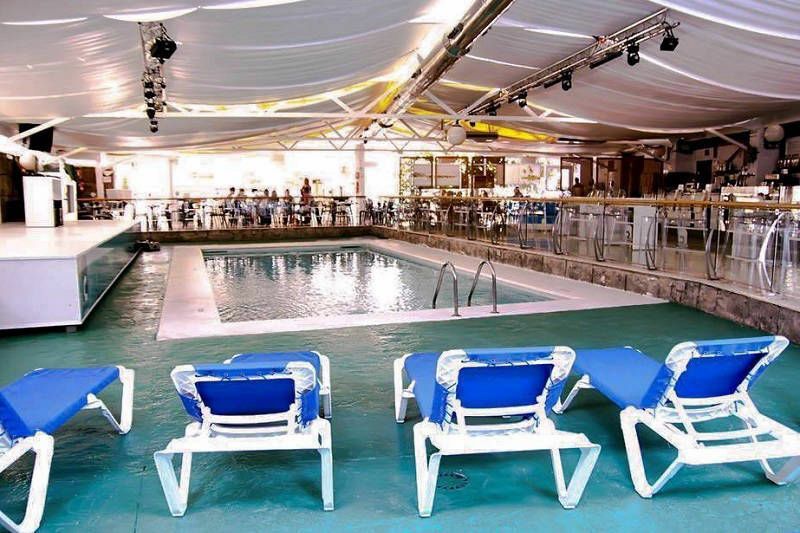 Go all-inclusive and non-stop party at the Aparthotel Benidorm Celebrations the ADULT ONLY pool party resort, live guest DJ,s and fun and games for groups who just want to party in Benidorm. Everything included. Foam parties, food, drink and more. 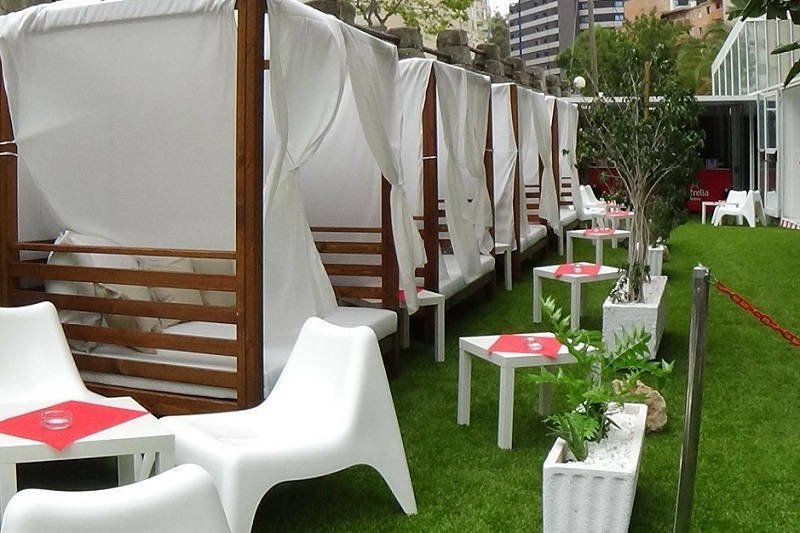 Enjoy an Ibiza style holiday without the silly Ibiza drink prices. 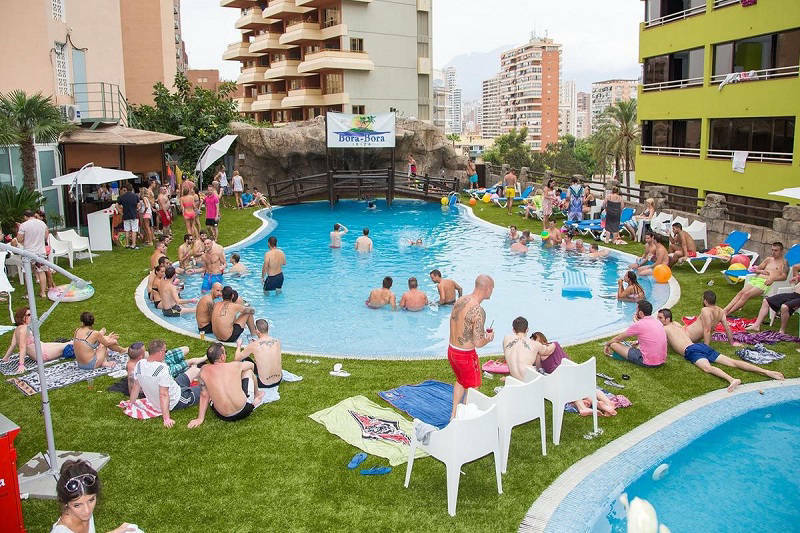 Perfect for Stags and Hens to enjoy a 24/7 Benidorm weekender. Simple studios and apartments with air-con a room safe and all you need for a snooze and a shower in between those parties! Plus new hostal shared rooms. Mates on a BIG celebration and those who just want to have a wild and lively (mostly sleepless) party week in Benidorm. Where? Calle Montecarlo, 5, 03500 Benidorm. Beach 500m - Café Bars 50m - Restaurant 50m. Ex Tropicana Suites. 90 Apartments over 12 floors with 3 lifts. Maximum 279 guests ,sleeps 2 to 6 per apartment. Limited Hostel style rooms sleeping 6 to 10. 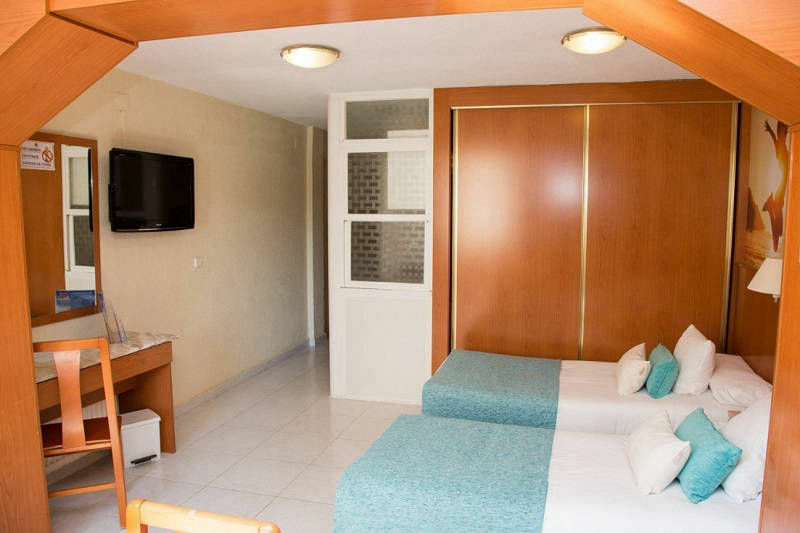 Rooms have a safe (£), Free Wifi, TV, Fridge. Minimum age to stay here is 18. 50€ PER PERSON CASH DEPOSIT ON ARRIVAL. Alicante Airport Transfers about 75 minutes drive time. Food includes buffet breakfast, lunch and dinner plus bar snacks. Drinks include: Local beers and spirits, soft drinks, water, tea/coffee. 2 Outdoor Pools with Pool Parties day and night. 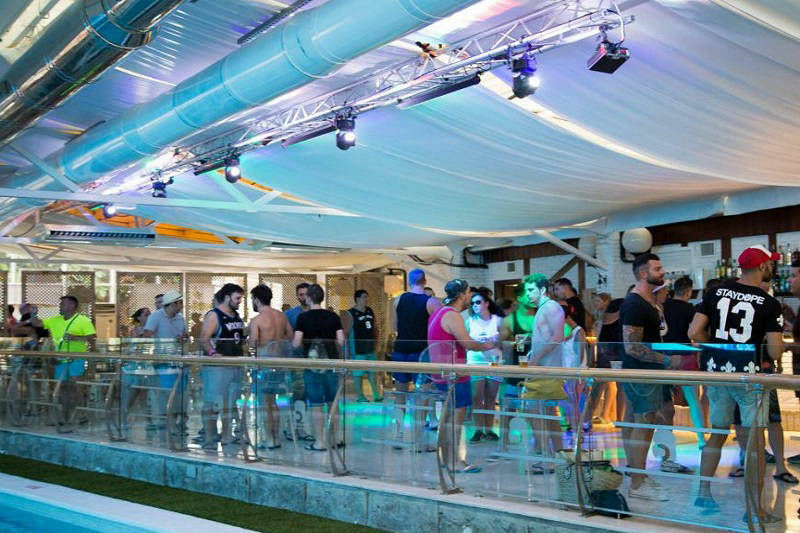 1 Indoor Disco Pool and Bar for added FUN! Foam Parties with Guest DJ´s and GoGo dancers. Benidorm "British Square" 15 minutes walk. Levante beach about 10 minutes walk. Wild and messy weekends in Benidorm!